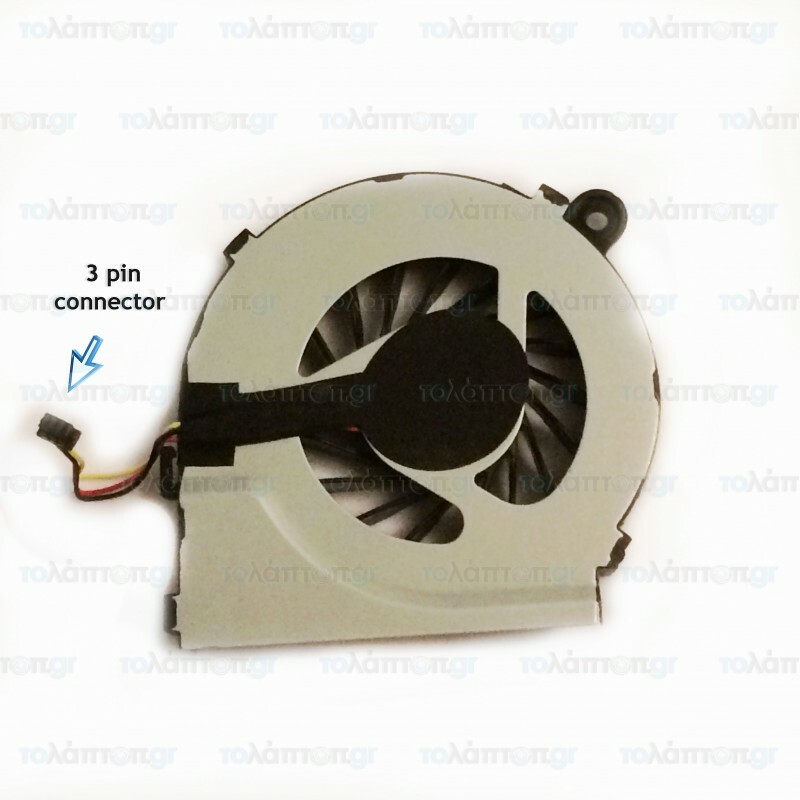 CPU Cooling Fan for laptop HP CQ10, CQ10-3000 with heatsink Part number: AD5005HX-QD3 Με ψύκτρα: Ναί Connector: 3 pin Κ..
CPU Cooling Fan for laptop HP Pavilion DV6, DV7 (AMD) Part number: DFS551305MC0T Με ψύκτρα: Όχι Connector: 3 pin Κατάσταση: &n..
CPU Cooling Fan for laptop HP 650, G58, 2000, Compaq CQ58 Part number: XR-H-CQ58FAN, DFS531205MC0T Με ψύκτρα: 'Οχι Connector: 4 pin Κατά..
CPU Cooling Fan for laptop HP Probook 4440s, 4441s, 4445s, 4446s Part number: 23.10605.001, DFS531005PL0T Με ψύκτρα: 'Οχι Connector: 4 pin &nb..
CPU Cooling Fan for laptop Hp Pavilion DM1-3000 Part number: AB05505HX08DB00 Με ψύκτρα: Όχι Connector: 4 pin Κατάσταση: Καινο..
CPU Cooling Fan for laptop Hp Pavilion DM3, DM3-1000, DM3T, DM3Z Part number: KSB0405HB Με ψύκτρα: Όχι Connector: 4 pin Κατάσταση: ..
CPU Cooling Fan for laptop HP Mini 110-1000, 110-1100 Part number: DFS400805L10T, 6033B0020201 Με ψύκτρα: Όχι Connector: 3 pin Κατάσταση..
CPU Cooling Fan for laptop HP Compaq 6715S, NC6320, NX6310, NX6320, NX6325 Part number: XR-H6520SFAN Με ψύκτρα: 'Οχι Connector: 3 pin &nb.. 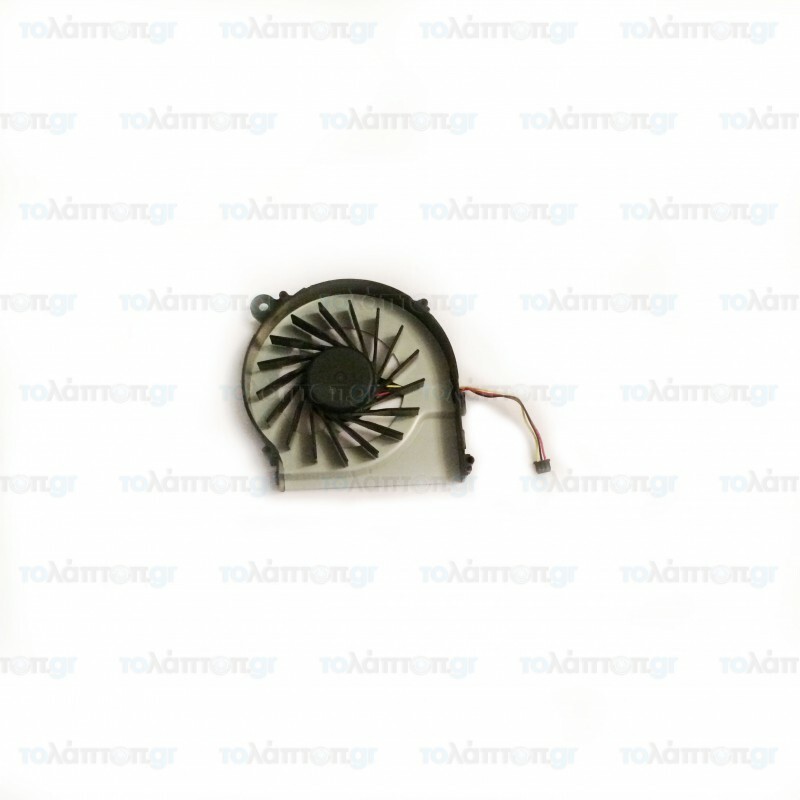 LED Flex Cable for laptop HP Pavilion G4, G4-1000Part number: DD0R12LC000 Κατάσταση: Καινούργιο Part type: LED Καλ.. LED Flex Cable for laptop HP Pavilion G6, G6-1000Part number: 6017B0295501 Κατάσταση: Καινούργιο Part type: LED Κα.. LED Flex Cable for laptop HP Pavilion G6, G6-1000Part number: DD0R15LC030 Κατάσταση: Καινούργιο Part type: LCD Καλ.. LED Flex Cable for laptop HP Pavilion G7, G7-1000Part number: DD0R18LC000 Κατάσταση: Καινούργιο Part type: LED Καλ..
CPU Cooling Fan for laptop HP Probook 4320s, 4326s, 4420s, 4426s Part number: DFS531205HC0T Με ψύκτρα: 'Οχι Connector: 3 pin Κατάσταση:&..
CPU Cooling Fan for laptop HP Probook 4530s, 4730s, Elitebook 8450p, 8460p, 8470p Part number: 5033B0024002, DFS531205MC0T Με ψύκτρα: 'Οχι Connector: &nb..
CPU Cooling Fan for laptop HP Probook 4520s, 4525s, 4720s Part number: MF60120V1-Q020-S9A Με ψύκτρα: 'Οχι Connector: 4 pin Κατάσταση:&nb..
CPU Cooling Fan for laptop HP 500, 520, 540, G7000, Compaq A900, C700 Part number: GB0506PGV1-A, 13.B2541.GN Με ψύκτρα: 'Οχι Connector: 2 pin ..
CPU Cooling Fan for laptop HP Compaq A900, C700, HP 500, 520, 540, G7000 Part number: GB0506PGV1-A, 13.B2541.GN Με ψύκτρα: 'Οχι Connector: 2 pin&nb..
CPU Cooling Fan for laptop HP Pavilion DV3-2000, Compaq CQ35, CQ36 Part number: AB6205HX-GE3 Με ψύκτρα: 'Οχι Connector: 3 pin Κατάσταση: ..
CPU Cooling Fan for laptop HP Probook 4410S, 4411S, 4415S, 4510S, 4515S Part number: XRBIJIBENFAN Με ψύκτρα: 'Οχι Connector: 3 pin Κατάσταση:&..
CPU Cooling Fan for laptop HP Probook 4330S, 4331S, 4430S, 4431S, 4435S, 4436S Part number: XR-H-4431SFAN Με ψύκτρα: 'Οχι Connector: 4 pin &nb..
CPU Cooling Fan for laptop HP Pavilion 15-AC Part number: XRBIJIBENFAN Με ψύκτρα: 'Οχι Connector: 4 pin Κατάσταση: Καινούργιο ..
CPU Cooling Fan for laptop HP Envy 15-J000 Part number: XRBIJIBENFAN Με ψύκτρα: 'Οχι Connector: 4 pin Κατάσταση: Καινούργιο &n..
CPU Cooling Fan for laptop HP Pavillion 14-E Part number: AB08505HX110B00 Με ψύκτρα: 'Οχι Connector: 4 pin Κατάσταση: Καινούργ..
CPU Cooling Fan for laptop HP Pavilion DM4-3000 Part number: 669934-001, 669935-001 Με ψύκτρα: 'Οχι Connector: 3 pin Κατάσταση: Και..
CPU Cooling Fan for laptop HP Envy M4-1000 M4-1015DX M4-1115DX Part number: DFS531105MC0T Με ψύκτρα: 'Οχι Connector: 4 pin Κατάσταση: Και..
CPU Cooling Fan for laptop HP Probook 4540S, 4740S, 4750S Part number: 683484-001 Με ψύκτρα: 'Οχι Connector: 4 pin Κατάσταση: ..
CPU Cooling Fan for laptop HP ProBook 450 G1 Part number: KSB06105HB Με ψύκτρα: 'Οχι Connector: 4 pin Κατάσταση: Καινούργιο&n..
CPU Cooling Fan for laptop HP Probook 450-G3 Part number: 837535-001 Με ψύκτρα: 'Οχι Connector: 4 pin Κατάσταση: Κ..
CPU Cooling Fan for laptop HP Elitebook 8540W Part number: GB0575PHV1-A Με ψύκτρα: 'Οχι Connector: 4 pin Κατάσταση: &nbs..
CPU Cooling Fan for laptop HP ProBook 4340S Part number: DFS531005PL0T Με ψύκτρα: 'Οχι Connector: 4 pin Κατάσταση: Καινούργιο ..
CPU Cooling Fan for laptop HP ProBook 640 G1 Part number: DFS501105PR0T Με ψύκτρα: 'Οχι Connector: 4 pin Κατάσταση: Καινούργιο ..
CPU Cooling Fan for laptop HP Pavilion 15-P Part number: DFS200405040T Με ψύκτρα: 'Οχι Connector: 4 pin Κατάσταση: Καινούργιο ..